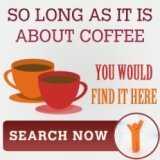 Single cup coffee machines brew coffee easily and the quality matches that of Starbucks. 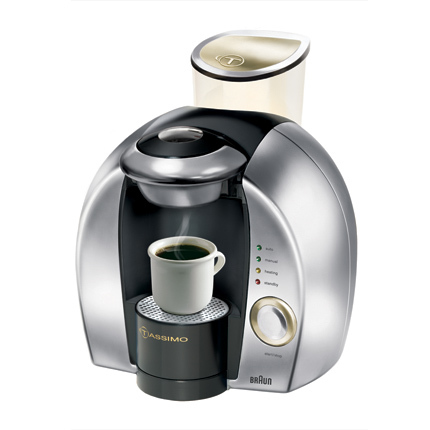 In fact, if you would to get a tassimo, you can actually dispense Starbucks out of it! Now, the question is how does one "persuade" management to change the old coffee pots to the better single cup coffee machines? 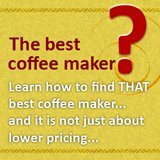 Simply saying the brew is better and it has a better "look and feel" would not get you the machine. Management would want to know, the value add of these machines. So, here we highlight 3 ideas which you can use to convince the management, it might not work for every companies, but we make sure that trying it would also earn you some brownies points even if you do not get to savor any single serve coffee in the end. Always know that as long as you work in a company, every care and concerns must be about the company. 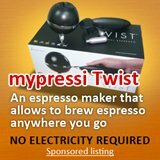 So, when you want to have coffee from single cup coffee machines in your office, the reason must first and foremost be about the company. Moreover, pots can spoil easily due to frequent use and daily wear and tear. Changing the coffee pots is also an additional expense. Usually, if you have a pantry, you would have a pantry lady to maintain the cleanliness of the area, again this is another expenses. 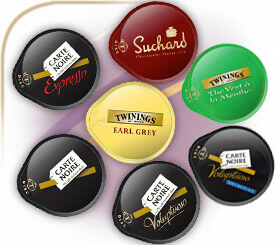 Using single cup coffee machines allows one to store the coffee pods and use only when required, there is no wastage. Because it is so easy to use, and requires minimum cleaning, you do not need pantry lady, and no pots would be spoil in the process. This saves a significant amount for the company in the long run -do remember to run some numbers to convince the management. Green is the tagline for 21st century, whatever you are doing, it must be green. Similarly, companies would want to be seen as a good corporate citizen. So, highlight how the use of coffee pots are not as "green" as using single cup coffee machines. Using coffee pots requires more washing, more electricity as you warm the coffee, higher wastage with the frequent throwing away of stale coffee. 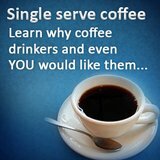 Single serve coffee is different, you drink only one portion and you wash for one portion. You do not waste additional resources on washing and there is no wastage on your single consumption. Oh, and you no longer need to use any paper filter, this can saves so many trees from being cut down just for drinking coffee. No doubt single serve coffee is a much "greener" option for drinking coffee. Welfare and caring for the employees is another trump card that you should use to convince management that the coffee from single cup coffee machines is really the coffee that your company should be having. One example would be the non-coffee drinkers and also the decaf drinkers. Let's talk about the decaf drinker first, sure, there are dedicated pot for them. But can they be sure that other colleagues never mix up? Or, is the coffee still fresh after an entire day on the warming plate? Then, what about the colleagues that don't drink coffee? Does the management offers enough choices that are on par with the coffee drinkers? Single cup coffee machines would effectively mitigate all these issues. By having single serve coffee, you choose what you want to drink and when you want to drink it. With companies like Tassimo, their T-discs have flavor for the decaf coffee drinkers, they have tea range and even a chocolate range. Enough varieties to cater to any beverage drinkers.